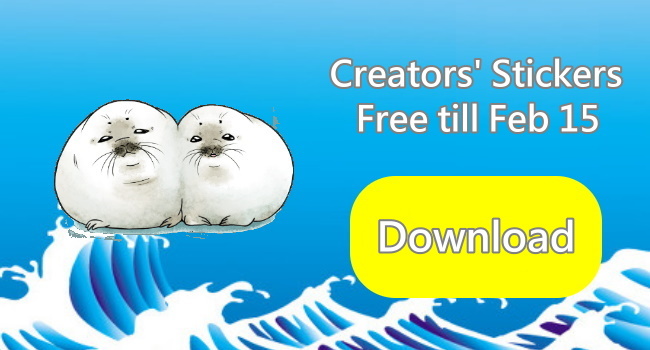 【Creators’ sticker】Free LINE stickers “MOCHI GOMA”. 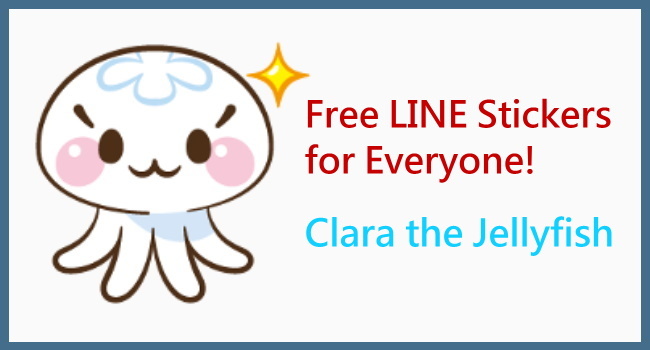 【Creators’ sticker】Download free LINE stickers “Clara the Jellyfish”. LINE released free creators’ stickers for users in all regions. 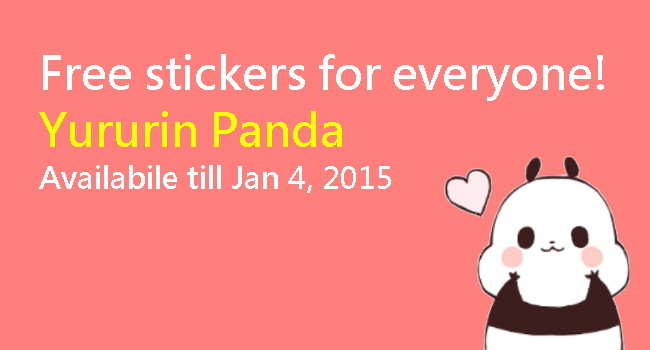 Get them ASAP cause they’re available till Feb 8, 2015. 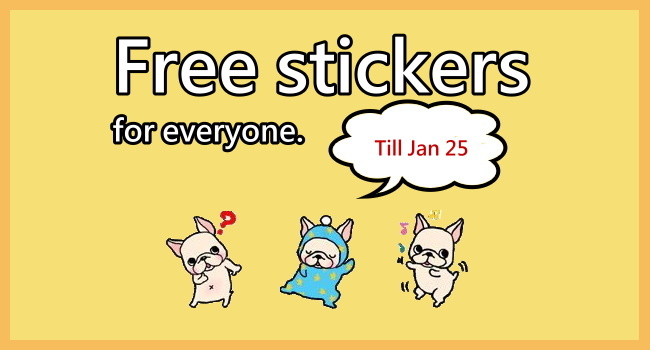 【Creators’ sticker】Download free LINE stickers “French Bulldog”. LINE released free creators’ stickers for users in all regions. Get them ASAP cause they’re available till Jan 25, 2015. 【Creators’ sticker】Download free LINE stickers “Tumurin”. LINE released free creators’ stickers for users in all regions. Get them ASAP cause they’re available till Jan 18, 2015. 【Creators’ sticker】Download free LINE stickers “momo & joon pyo”. LINE released free creators’ stickers for users in all regions. Get them ASAP cause they’re available till Dec 21. 【12/8 Creators’ sticker】Download LINE sticker “Sunglasses Baby”. Great news! LINE released free Creators’ stickers for users in all regions. 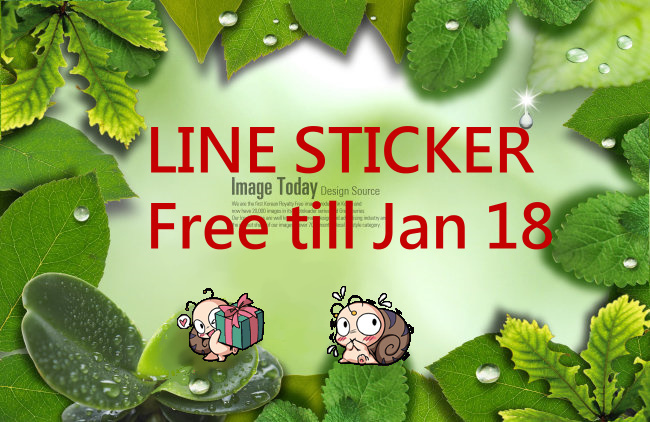 If u desire to get more cute stickers for free, then u must LIKE our FB page to receive the newest info. Let’s see creative stickers for today. 【Creators’ sticker list】Download LINE sticker “Coko’s MixFlavor “.